Introducing fluorescent lights into your business or home could save you considerable amounts of money, both in running costs and in replacing old lights. They’ll also light up your environment better than standard fittings with incandescent light bulbs.Fluorescent lighting is more flexible than most people think, with variations to suit most needs. 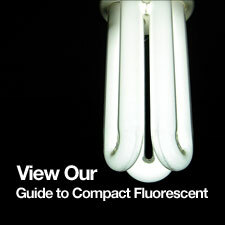 In this guide we take a look at the different types of fluorescent tubes, identify the best use for each and highlight the benefits they offer to the user. T4 fluorescent tubes are compact and easy to install, making them the ideal way to light-up kitchen counters and worktops. These tubular bulbs use between six and eight times less energy than standard light bulbs, making them a good choice for households looking to cut down on their energy footprint and businesses looking to save money on energy costs. Furthermore, these compact fluorescent tubes last for up to 9,000 hours, so you’ll hardly ever have to replace them. Our T4 fluorescent tubes come in a variety of lengths and wattages. T5 fluorescent tubes can be installed to efficiently light everything from aquariums (specialist tube) to factories, schools, offices, supermarkets, and even underground railways. They’re a cost effective way of lighting large spaces because they typically last up to 30,000 hours and have low mercury content, ensuring that they have a minimal environmental impact. The T5 tubes achieve this by using a coating on the inside of the glass wall that stops the glass and phosphors from absorbing mercury. T5 fluorescent lights use ballasts – the device that limits the amount of current passing through the tube to stop it from overloading. Additionally, these ballasts enable T5 fluorescent lights to work at frequencies above 20kHz, giving you features such as instant start, rapid start and programmed start. Another advantage that T5 fluorescent tubes offer is that they produce high levels of colour rendering and efficacy. The correlated colour temperature (CCT) and colour rendering index (CRI) of the lamps is determined by the phosphors used in the manufacturing process. The CRI of the T5 lamps can be specified from 70 to the mid-90s. For good quality lighting, we recommend to specify a CRI of at least 80. With T5 fluorescent lights you can choose different shades of white light, such as cool white, warm white and daylight. Taking T5 lighting one step further, our HE (High Efficiency) and HO (High Output) tubes really deliver. T5 High Efficiency Triphosphor Tubes last up to 50% longer, meaning they will deliver up to 30,000 hours of light, whilst equal in life expectancy, the T5 High Output Triphosphor Tubes are ideal for rooms with high ceilings. Our T8 fluorescent lights are some of the most widely used, and are perfect for places where you need to see lots of detail. Our T8 tubes have excellent colour rendering capabilities, bringing out the details of clothes and furniture. Retail stores, garages, offices, schools and conference rooms can all benefit from T8 lights. They’re also extremely energy efficient, lasting up to 15,000 hours, and even longer in some cases. They require minimal maintenance and come in a choice of straight and U-shaped designs. Some T8 tubes can even rid you of those wretched winter blues. The T8 Tubes for SAD provide more natural light, similar to daylight; unlike the often artificial-looking and harsh light that’s given off by some fluorescent tubes. This can combat against Seasonal Affected Disorder (SAD), which can leave you feeling depressed or worse. They’re perfect for reception areas too, as they give a warm, welcoming feeling to customers. T12 tubes are the largest fluorescent tubes available, but they’re being phased out in favour of T8 tubes, which are smaller and more energy efficient. They’re good at lighting large areas, such as offices and retail space, but because of their higher running costs, and the fact that availability will soon become an issue, we’d recommend changing to T8s. If you are still definite about wanting T12 tubes we stock different lengths, wattages and colours, including warm and cool white. 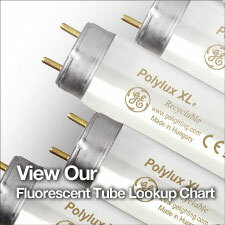 Take a look at which T12 fluorescent tubes are available through Lyco. Why not browse our full fluorescent tube range? Looking for more lighting information and inspiration? 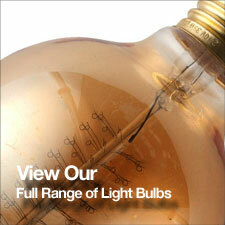 Take a look at our Lighting Advice section.